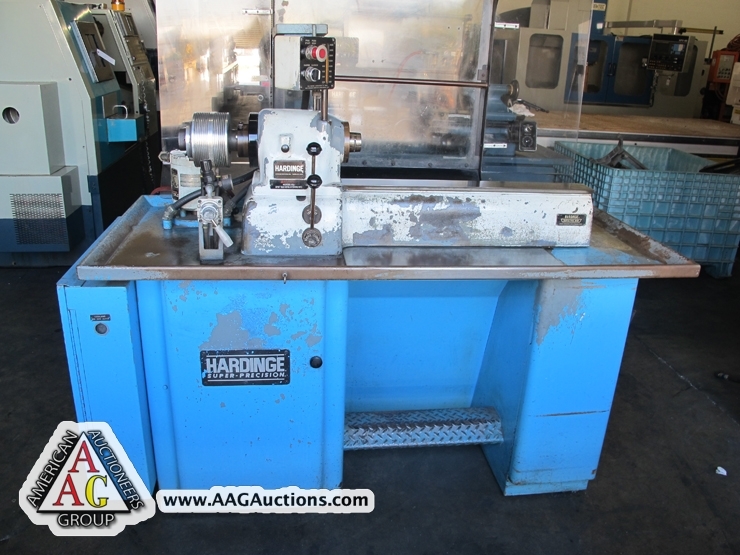 HARDINGE CHNC-I CNC LATHE W/ FANUC OT CONTROL, S/N CN-4537-T.
3) HARDINGE HLV-H TOOL ROOM LATHES W/ THREADING, S/N 11681-T, 11674-T, 9025-T.
3) HARDINGE DV-59 2ND OP LATHE WITH PNEUMATIC 5C COLLET CLOSER. 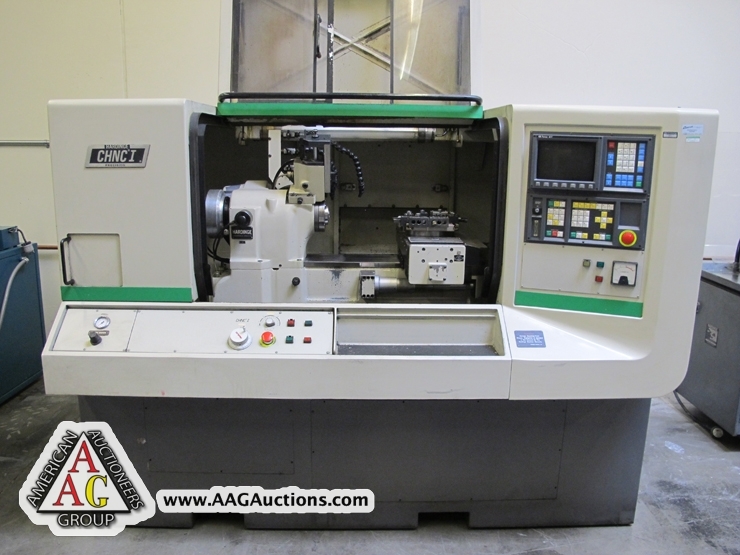 1992 SODICK A280L CNC WIRE EDM WITH EX EDW CONTROL. 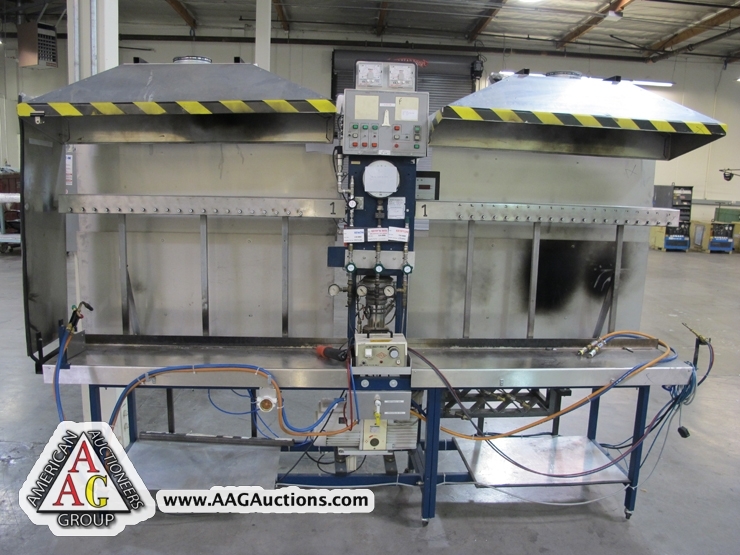 1984 AMADA SPH-30C, 30 TON CNC PRESS BRAKE, S/N 308611. 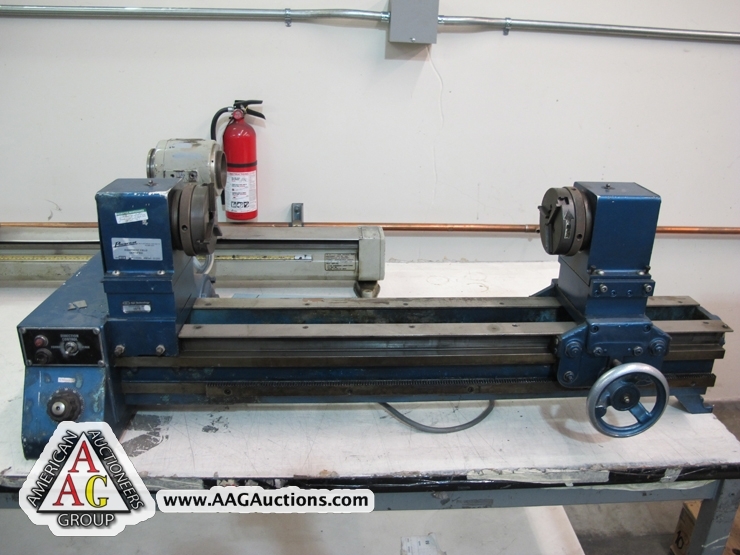 LEBLOND 14 X 48 ENGINE LATHE W/ SERVO SHIFTER. 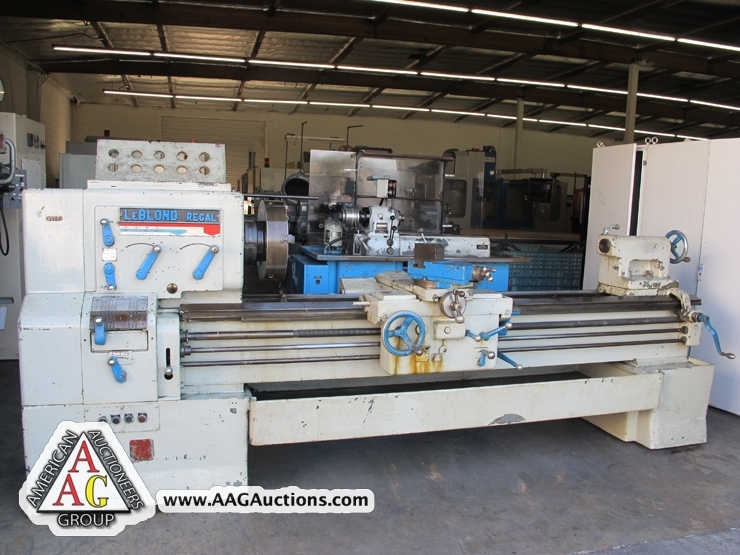 LEBLOND 20 X 72 ENGINE LATHE. 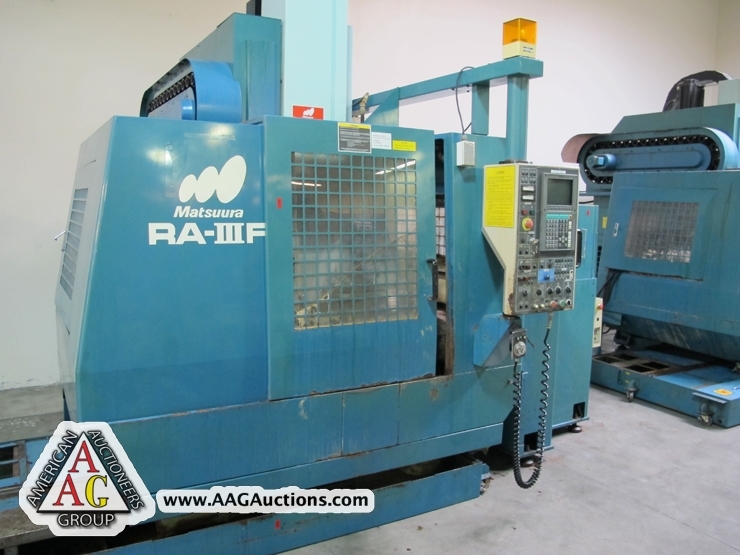 2) MYFORD ML7-R PRECISION LATHES. 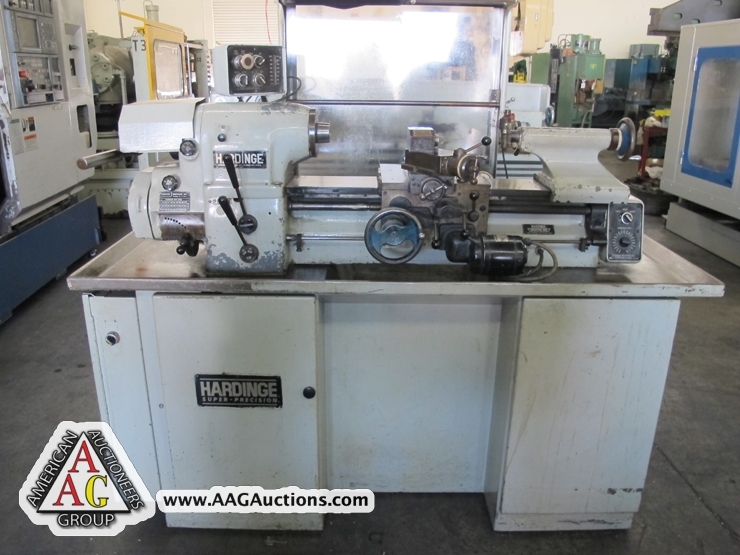 HARDINGE CHNC-I CNC LATHE W/ FANUC OT CONTROL, S/N CN-4537-T. 3) HARDINGE HLV-H TOOL ROOM LATHES W/ THREADING, S/N 11681-T, 11674-T, 9025-T.
3) HARDINGE DV-59 2ND OP LATHE WITH PNEUMATIC 5C COLLET CLOSER. 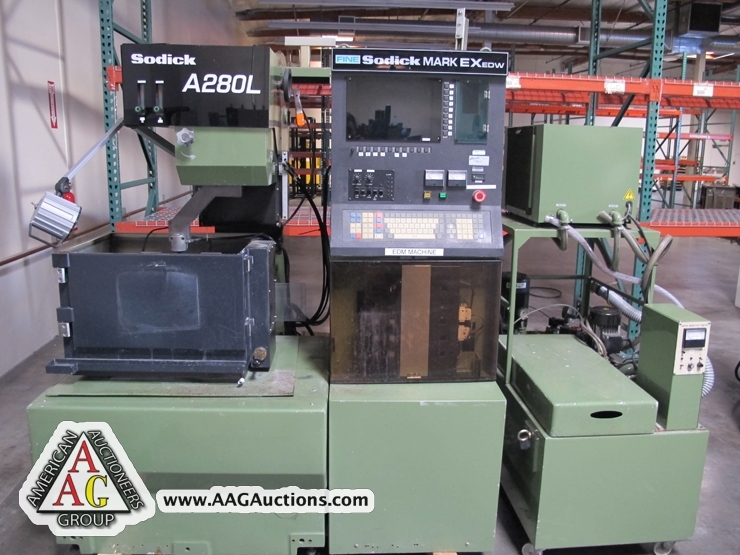 1992 SODICK A280L CNC WIRE EDM WITH EX EDW CONTROL. 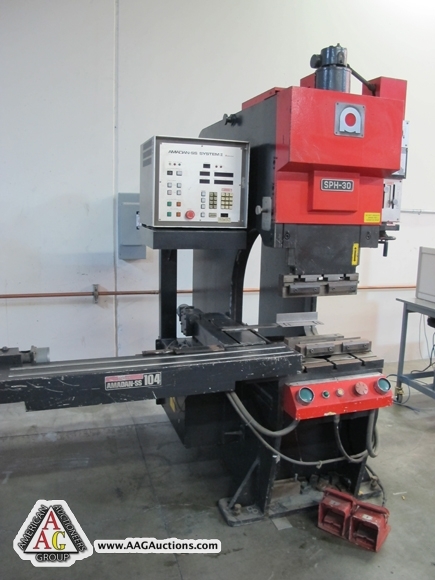 1984 AMADA SPH-30C, 30 TON CNC PRESS BRAKE, S/N 308611. 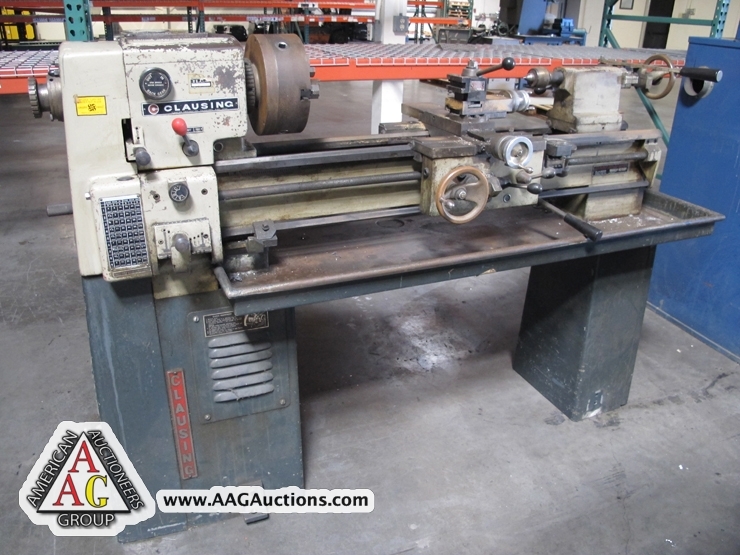 LEBLOND 14 X 48 ENGINE LATHE W/ SERVO SHIFTER. 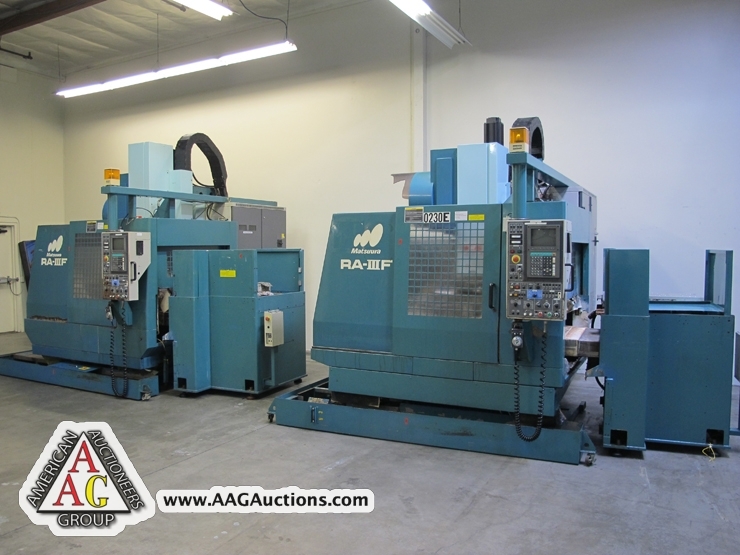 2) MYFORD ML7-R PRECISION LATHES. 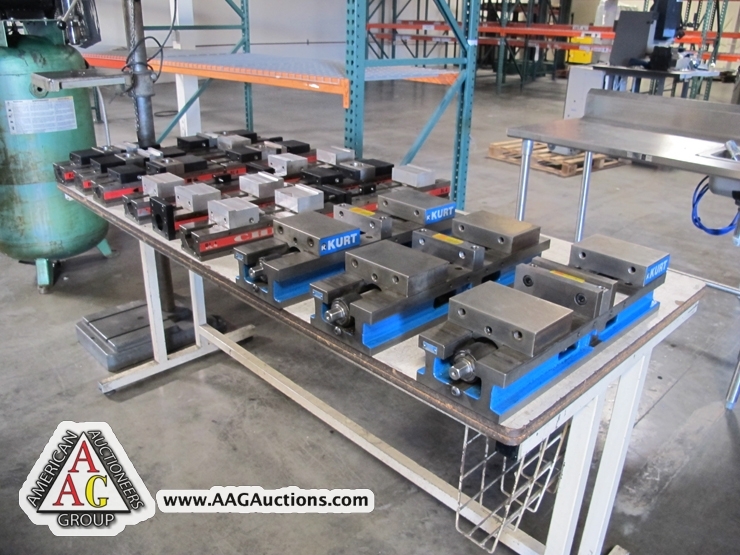 3) BRIDGEPORT & INDEX VERTICAL MILLS. 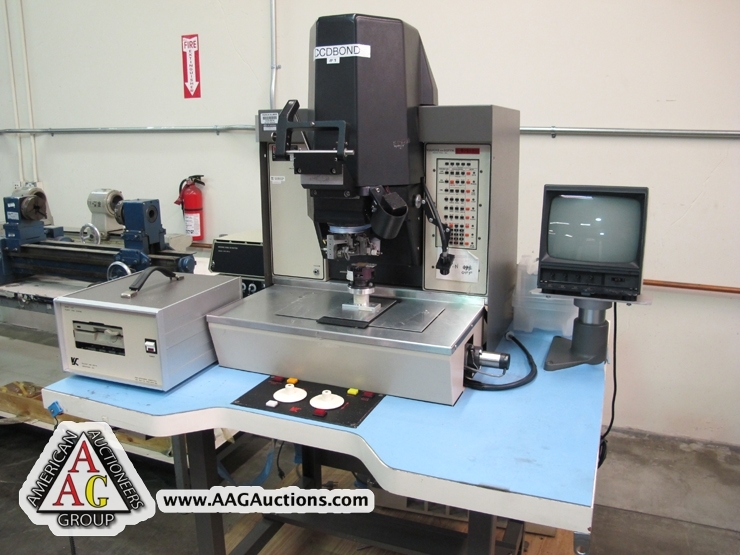 2) J AND L 14’’ OPTICAL COMPARATOR. W.F. 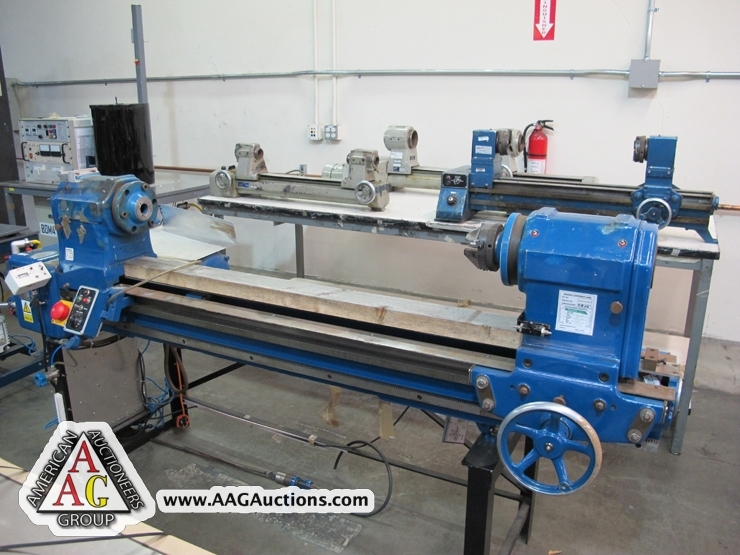 WELLS HORIZONTAL BAND SAW. 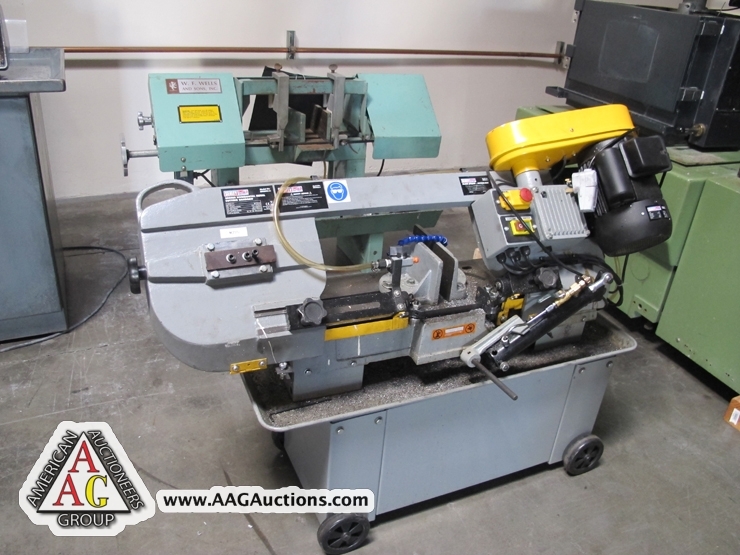 SEALEY 900 HORIZONTAL BAND SAW. 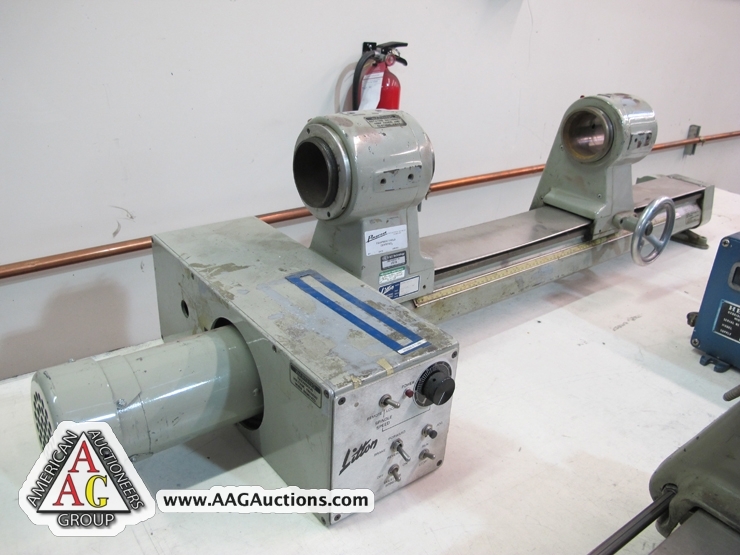 PASCAL 9VS BALL MILL. 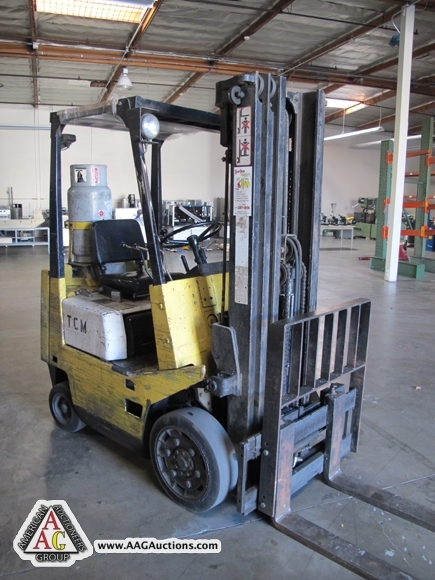 ENCO 130-5610 BRAKE AND SHEAR COMBO. 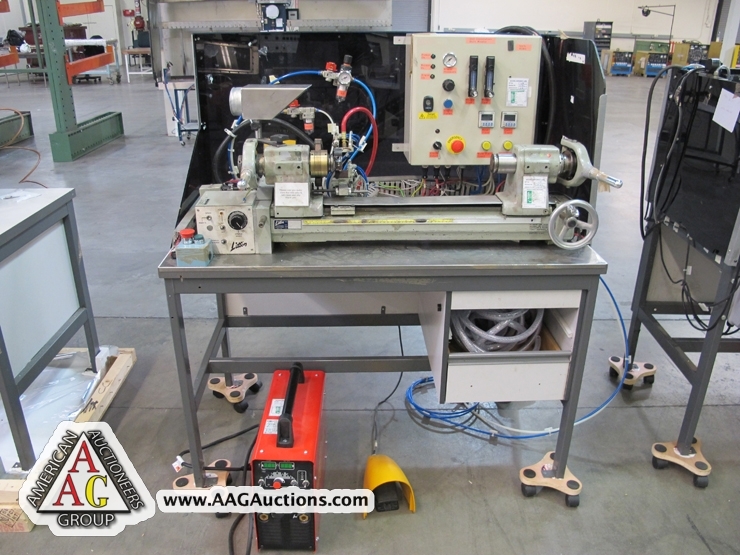 2) SPEEDAIRE AIR COMPRESSORS VERTICAL. 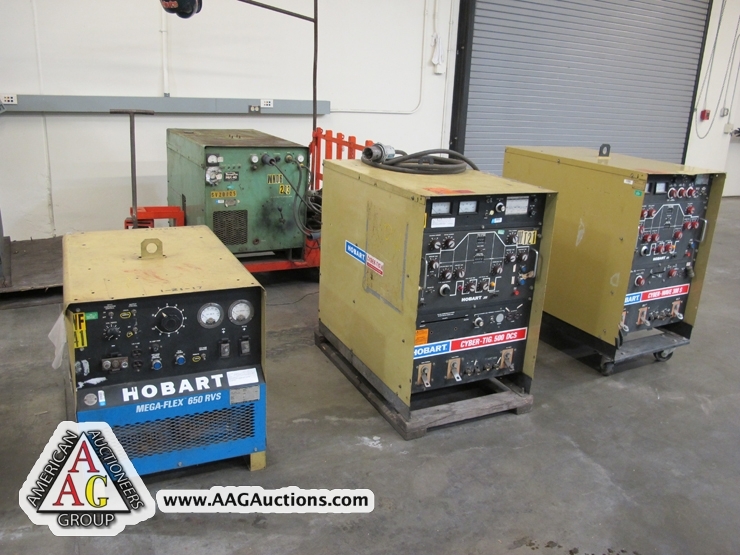 KAESER SK-19 ROTARY AIR COMPRESSOR.TORIT AND DONALDSON DUST COLLECTORS. 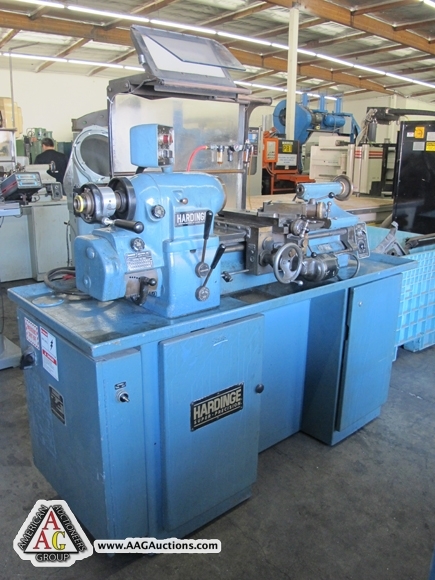 LEBLOND 20 X 72 ENGINE LATHE. 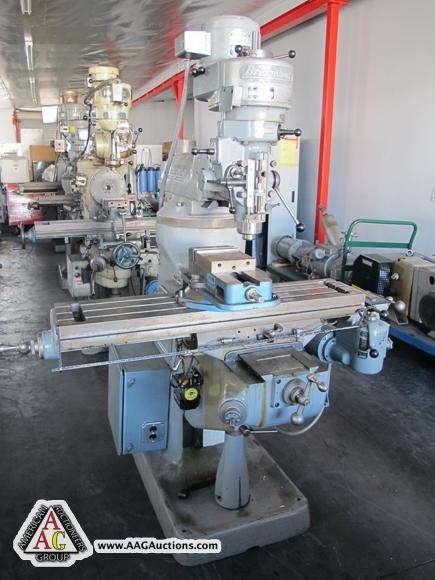 SMART & BROWN TURRET LATHE. 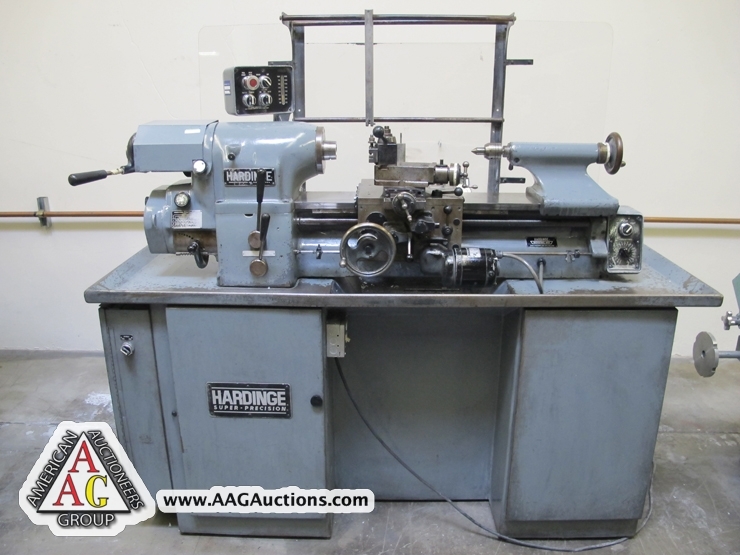 CLAUSING ENGINE LATHE, 14’’. 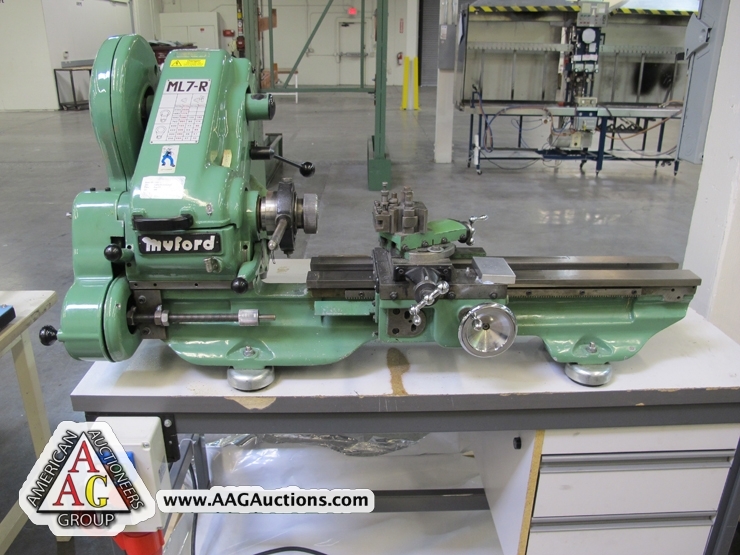 2) MYFORD ML7-R PRECISION LATHES. 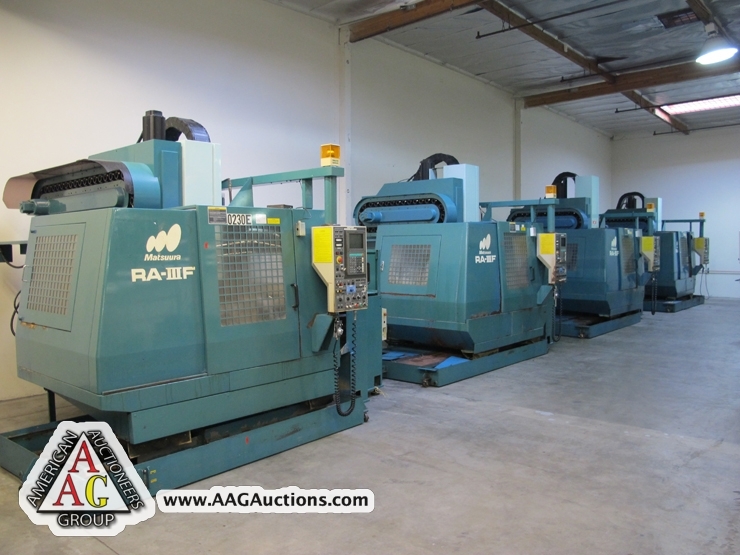 2) SPEEDAIRE AIR COMPRESSORS VERTICAL. 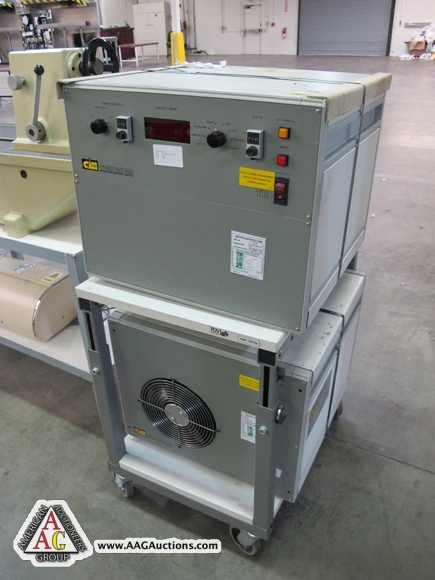 KAESER SK-19 ROTARY AIR COMPRESSOR. 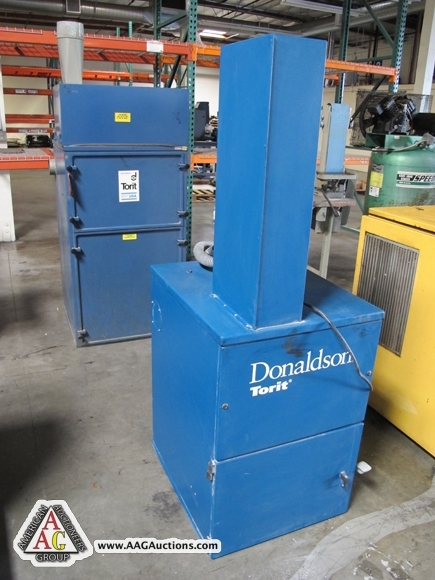 TORIT AND DONALDSON DUST COLLECTORS. 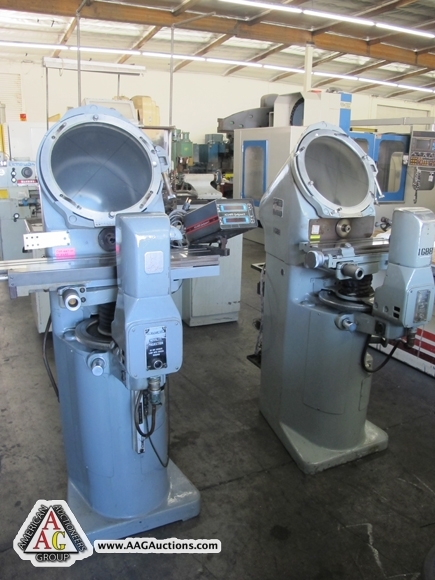 LITTON U077 GLASS BLOWING LATHE, 20’’ CENTERS, S/N 243. 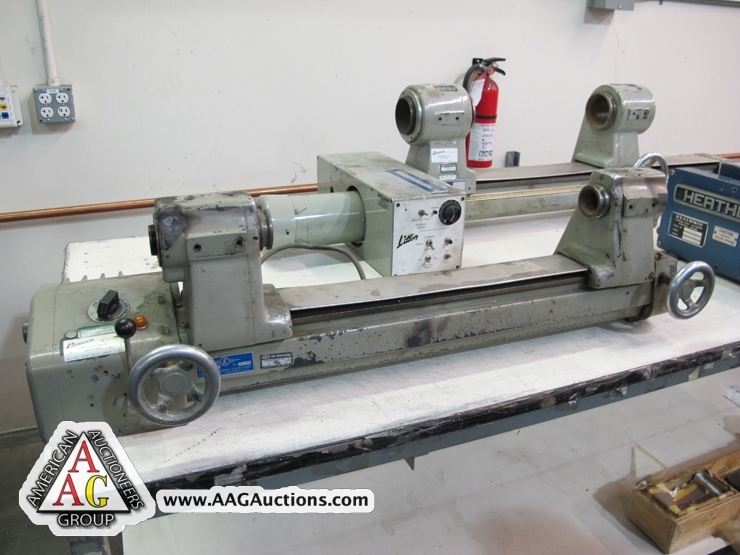 LITTON F-U GLASS BLOWING LATHE, 28’’ CENTERS, S/N 1045. 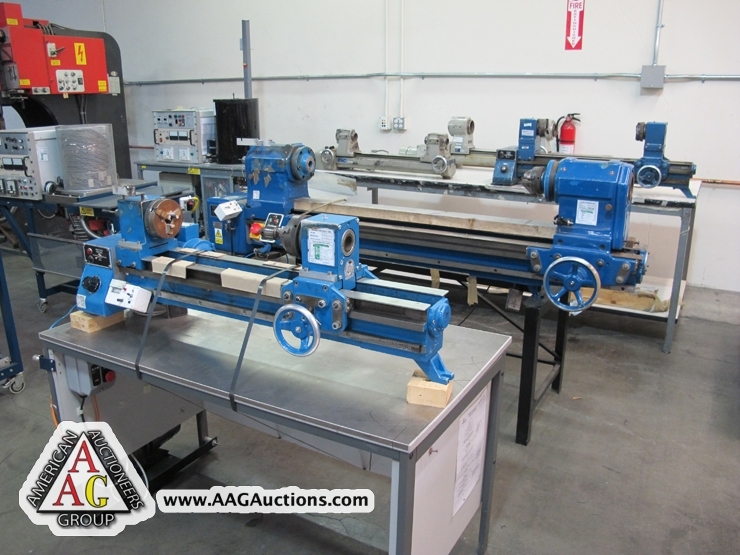 3) 1998 & 1996 LITTON FOF3 GLASS BLOW LATHE WITH WELDING SYSTEM, EUTECTIC POWER SUPPLY, CASTOTIG 220/DC. 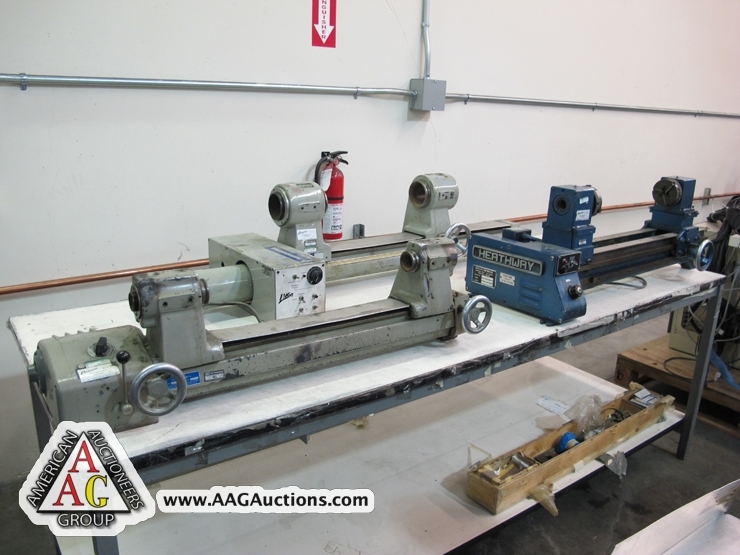 HEATHWAY BM 1081 GLASS BLOWING LATHE, 4’’ CHUCK, TAIL STOCK, 24’’ CENTERS, S/N 75621D. 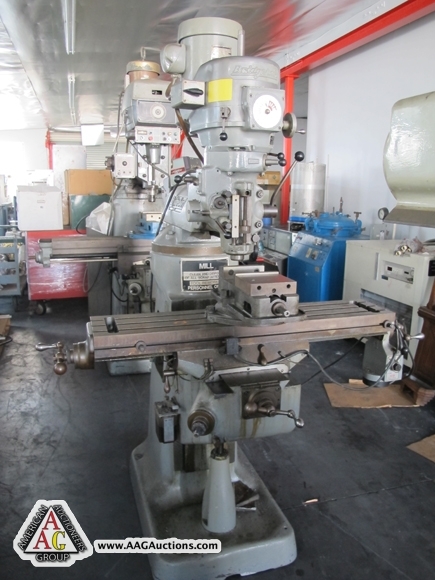 LATHE, 4’’ CHUCK, 24’’ CENTERS, S/N 31455. 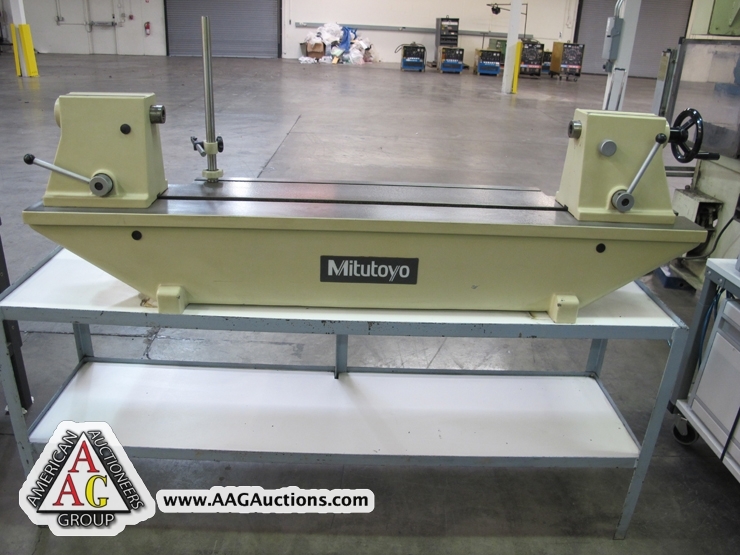 1997 KULICKE & SOFFA MODEL 982-6 PRECISION WAFER DICING SAW. 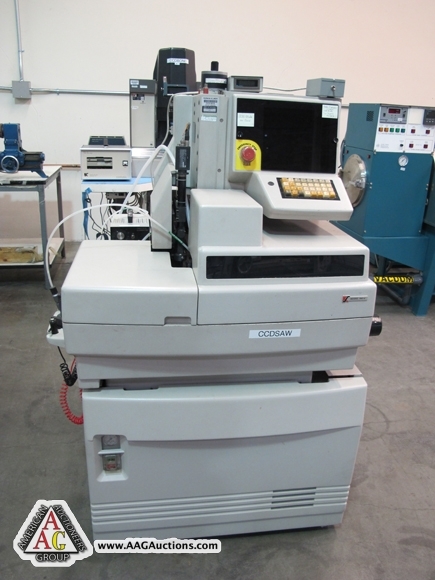 KULICKE & SOFFA MODEL 1470-3 AUTO WEDGE BONDER. 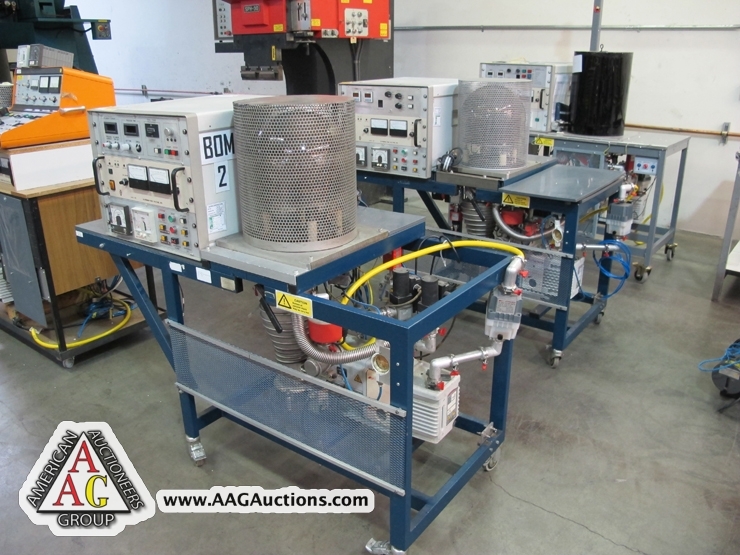 3) 1996 GLASS VACUUM COATING JARS WITH EDWARDS VACUUM PUMPS. 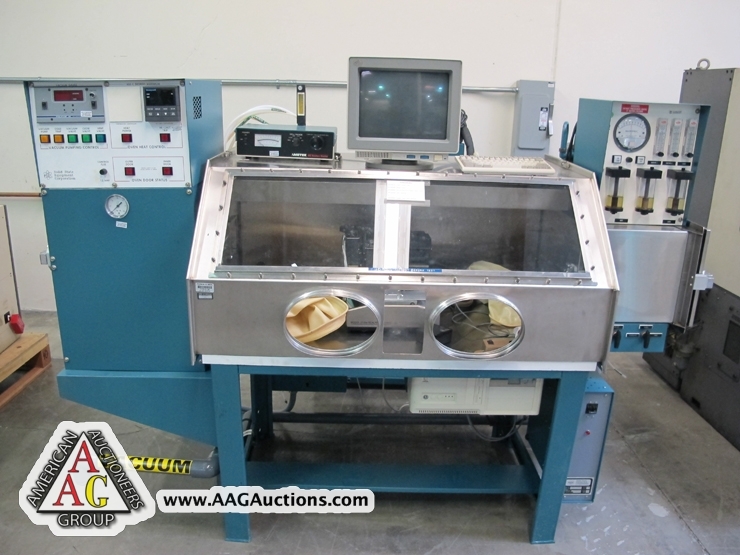 1998 GLASS VACUUM COATING JARS WITH EDWARDS VACUUM PUMP. 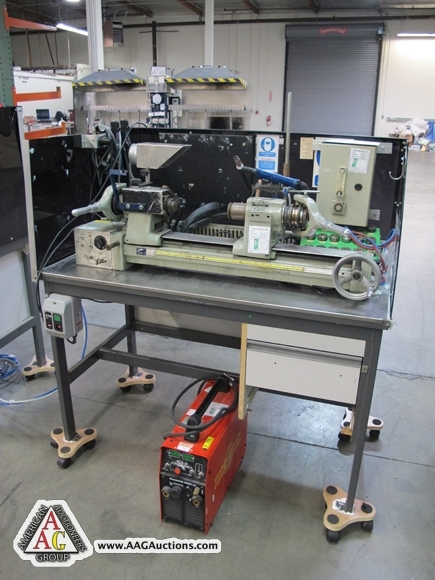 2000 CHELTENHAM INDUCTION HEATING MACHINE, MODEL WR2, S/N WR2-033. 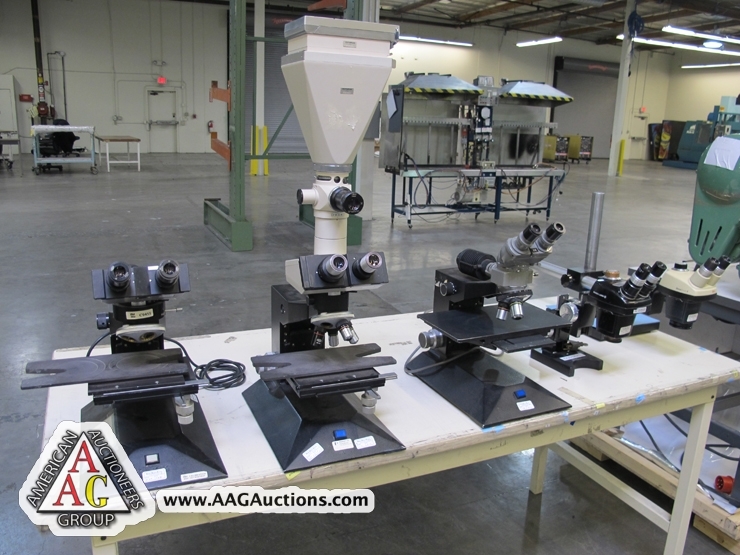 VARIOUS OLYMPUS MICROSCOPES, AND SUPPORT. 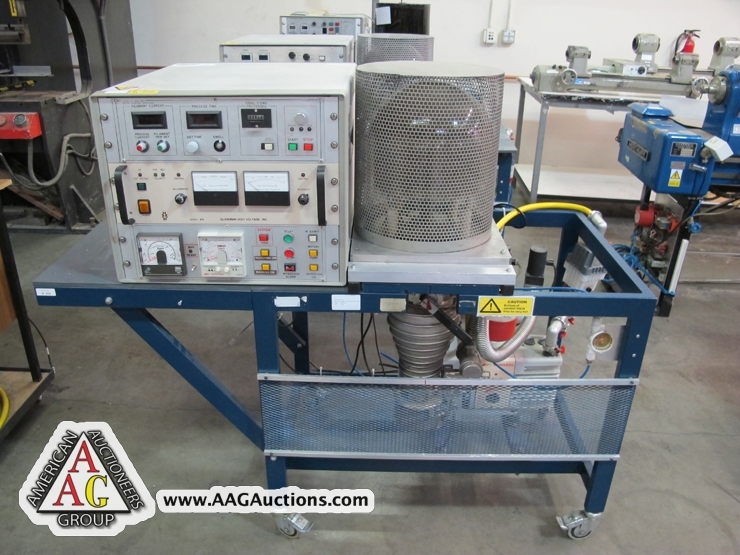 40 STATION VACUUM PUMP STATION FOR GLASS SEALING. 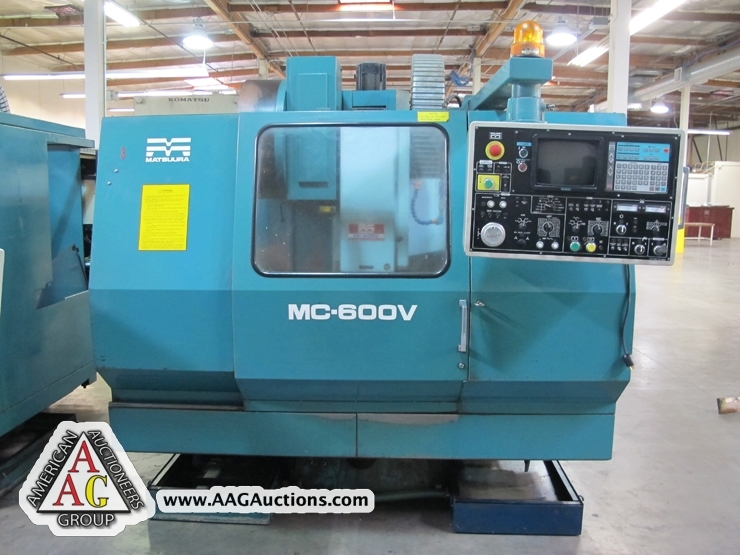 S/N 960511940, 960511939, 930510552, 960211716, 960411889, 960411887. 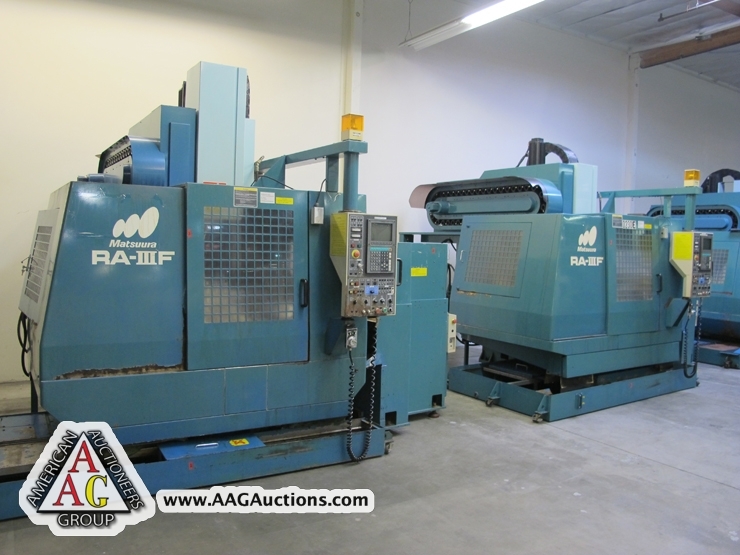 1989 MATSUURA IC-600V CNC VMC, YASNAC MX3, BT-40, 30 ATC, S/N 890607551. 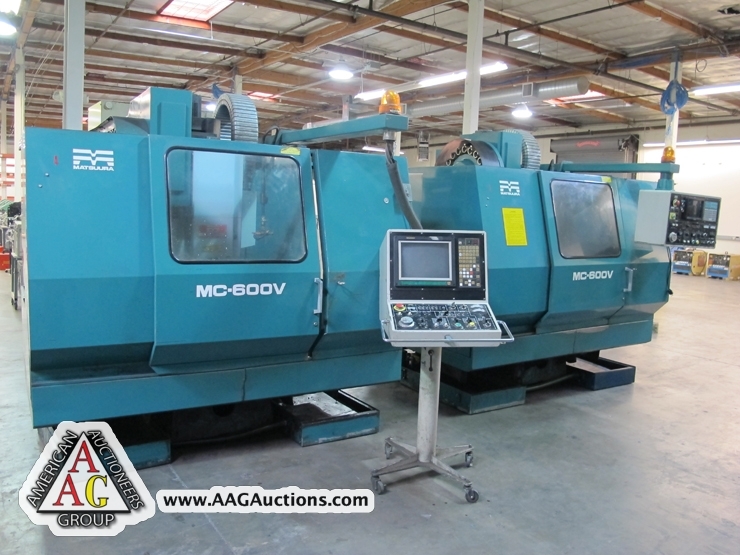 1989 MATSUURRA MC-600V CNC VMC, YASNAC MX3, 20 ATC, BT-40, S/N 891007815. 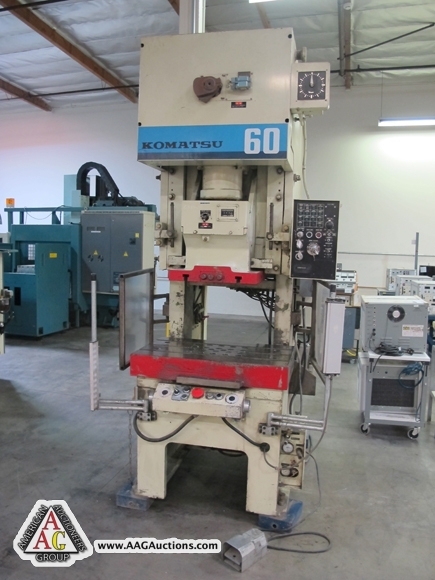 1990 KOMATSU OBS-60-3 60 TON GAP FRAME PUNCH PRESS, 42-85 SPM, 6.3’’ STROKE, 900mm X 550mm X 130mm BOLSTER PLATE, S/N 13578. 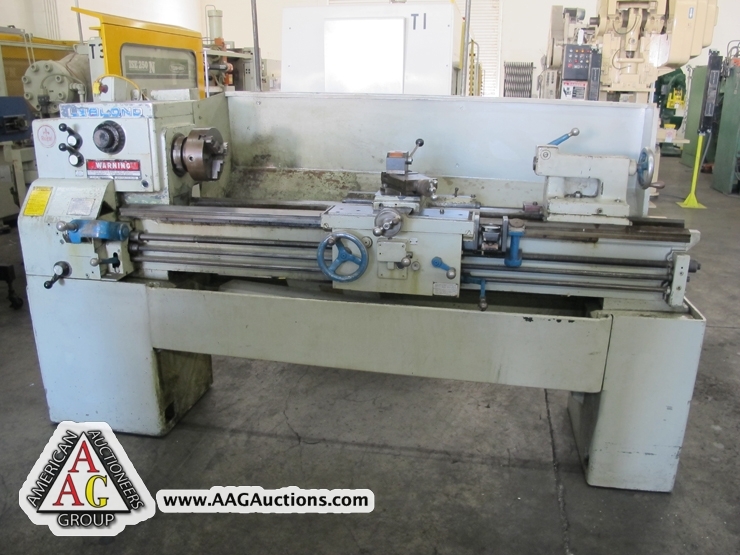 SMART & BROWN TURRET LATHE.